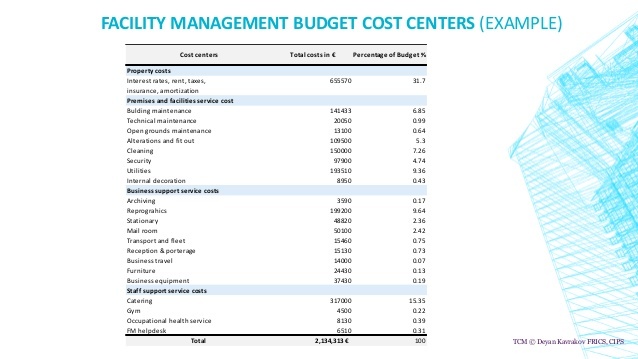 Can you Cut Costs in Facility Management and Increase Productivity? Controlling costs in facility management has significant impact on the bottom line – both in the short term and long term. The challenge for CFO and facility management is cutting costs while maintaining the KPI’s important for the organization – whether that’s asset management, customer service, time on tools/wrench time, or cost per square foot. The goal of this article is answer the question – can you cut costs in your facility while increasing productivity? To do so we’ll provide a CFO level overview of facility costs and a facility managers overview of the impact for cost reduction strategies. We’ll also provide strategies and tools for getting the most out of facility management from physical assets to people, while maintaining and cutting costs. Every cost center is unique, but we pulled a few common items for discussion. The CFO’s goal for facility management is to minimize the cost per square foot while maintaining operational service levels. Look over this example cost center and pull out the levers that we can actually control, and think about the levers that have the biggest impact – from a cost perspective and a service perspective. The high level categories include Property Costs, Premisis and Facility Services Costs, Business Support Service Costs, and Staff Costs. So which levers do we have control of in our operations? Indirectly we have control over building maintenance, technical maintenance, grounds maintenance, cleaning, and security. But pulling any of those levers most likely has an unintended consequence. There’s one big consequence that every facility manager faces daily, but isn’t even on the CFO’s radar. And less work orders completed leads to more equipment breakdowns. More equipment breakdowns leads to higher costs. Higher Costs leads to unhappy management. Unhappy management leads to unhappy workers. Unhappy workers leads to less work orders being completed. So the ripple effect of a poorly planned budget cost goes. We have to take a deeper look at these line items to understand what costs we have direct control over, and ultimately to determine where we can cut costs without a negative impact to operations. Afterall, the biggest cost has the biggest impact. For most facilities that cost is labor. Labor is a great lever for another reason – it’s the biggest variable in productivity. Typical cost cutting for labor is simple – cut the labor. But again, that has unintended consequences and rarely makes a business better unless you’re grossly bloated. Labor is not variable because you can easily cut personnel. It is variable because you can easily improve productivity. Improving productivity has two positive outcomes – get more done, with less resources. Let’s go a little deeper. How does a unit of labor spend its time on a single work order? 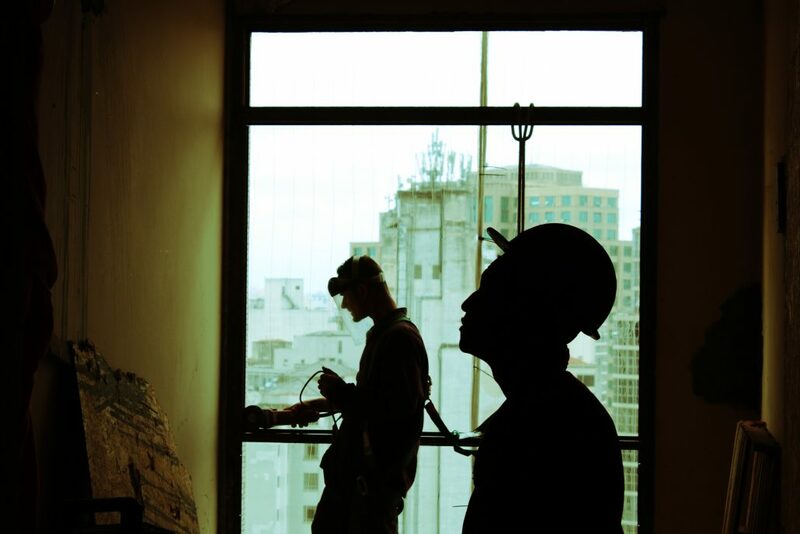 Where can we have the biggest impact on a single work order to improve productivity. We’ll break this up into Non Value Added Time and Value Added Time. Now…let’s go even deeper and find out why so much time is spent in these NVA steps. Work orders start with figuring out the problem. Maintenance staff has to answer questions like where exactly is the problem in the facility? If they need to get behind the walls to access a pipe or move shut important equipment down to access something, then they need to know exactly where the problem lies so they can minimize downtime/damage. So how do they do it? They go find the P&ID. They go find blueprints. They go find Gary that’s been working here for 30 years. All that takes time. A lot of time! And let’s say they find the P&ID. Did they find the latest version? Or, are they looking at an old version before your last expansion project. That’s pretty deep into this part of a work order, but it’s true for every work order that’s not routine (and even routine work orders. This one seems pretty simple, and you may think you don’t have control. But consider a work order in which the exact location isn’t known, and the employee has to walk from point A to B, B to C, C to D, and D back to B when they realize they were right the first time. The time to complete the work order increases with every step, while the number of work orders they can complete in a day is decreasing. Finding and assessing the problem includes a bulk of the non value added time in a work order – everything from location of utility isolation and lock out procedures to getting materials to the work site and clean up. This time can be spent reviewing the physical location of a problem to measure size/fit of replacement parts, studying an exploded parts diagram, searching and reviewing warranty documents, and more. These documents are typically stored in a physical location. Unfortunately as the months and years go on those documents are moved, used, and worn down which makes them difficult to find. That means that the time people spend in this NVA category tends to increase over time. There’s a common thread in these NVA activities – each is amplified in time spent finding out what, why, who, where, and how. By answering these questions more quickly, a technician can reduce the NVA time spent on a work order and increase the Value Add Wrench Time from an industry standard of 22% to a best in class 50%. By doing so we’ll increase the productivity of every worker and increase the number of work orders being completed. This is facility management for CFO’s. Our biggest Value Add – Wrench Time – can be increased to 50% just by providing faster, and up to date information. The goal is to improve the operations of a facility with accurate and up to date information. Fasttac organizes all of the documents required to improve efficiency by quickly accessing things like the following, but not limited to. Store any document you can think of a link it to a specific location on a drawing including pdf, xls, doc, mp4, and more. Fasttac provides a free trial that allows you to complete 10% more work orders during the trial period quickly and easily, and without a credit card. Fasttac will load your drawings and connect your documents for you, allowing you maintenance staff to quickly access the information they need. You can get 10% more work orders completed in this trial period, and expect bigger improvements as you grow your decisions. https://fasttac.com/wp-content/uploads/2018/11/Photo-by-Clem-Onojeghuo-on-Unsplash.jpg 3600 5400 Jon Santavy https://fasttac.com/wp-content/uploads/2016/09/FASTTAC_Logo.png Jon Santavy2018-11-19 21:09:522018-11-19 21:17:57Can you Cut Costs in Facility Management and Increase Productivity?